Find the perfect holiday gift and help us turn it up to 11! This annual event features jewelry by Danaca Design studio teachers and students. This annual extravaganza is a great opportunity to meet some of the wonderful people who make Danaca Design such a special place. Enjoy excellent company, refreshments and delicious treats from Bodrum Bistro in Wallingford. 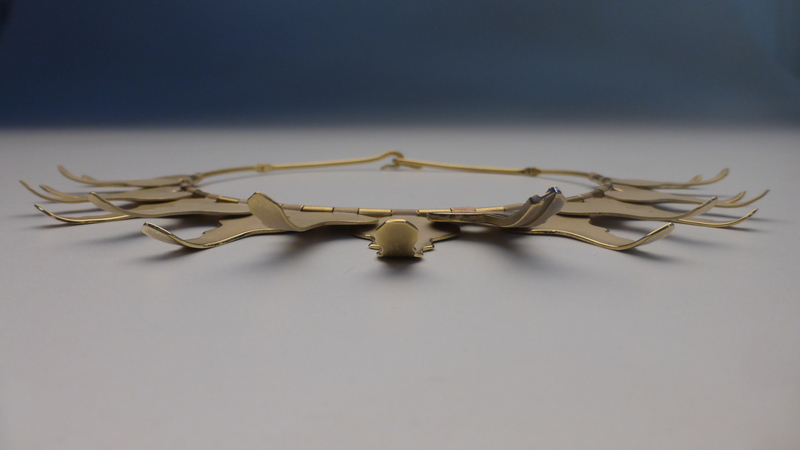 The current Danaca Design Jewelry Challenge, The Key Transformation, is on exhibit in the gallery through November 8, 2014. Each artist received a key, the most boring pad-lock key imaginable, identical except for the ware. The result is remarkable. These pieces demonstrate an excellent range of metalsmithing possibilities as interpreted by a handful of diverse artists, students through seasoned smiths. They are very fun. Come by and take a look, the variety is pretty awesome! See more images at our Facebook page. The House Rules! is an annual fundraising event highlighting the Danaca Design Studio “crew”. Our crew creates and raffles a collaborative neckpiece (this year we have two again!) and arranges a small silent auction with donations from the crew and friends. Funds raised from the raffle and silent auction go directly to the Danaca Design Jewelry Art Stimulus Fund, our scholarship program. Raffle tickets are only $5.00 and are available in the studio, from someone in the crew or at the event. 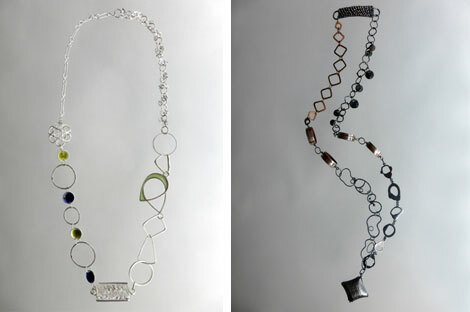 View the collaborative raffle necklaces above. This is a great opportunity to support the studio and its crew, get a gift for Mother’s day, support a student and maybe take home the grand prize, an outrageously cool necklace (or two)! Please join us to celebrate. We will have delicious treats from Café Paloma. Silent Action closes at 8:00pm! The crew at Danaca Design is a widely varied group of artists who help out with administration and maintenance as studio monitors and gallery attendants. Below are the 2014 House Show contributors, with some insights into the wonderful folks who make Danaca Design Studio a great place to be. Come by and check out the treasures: stones, beads, metals, great used tools, and MORE! 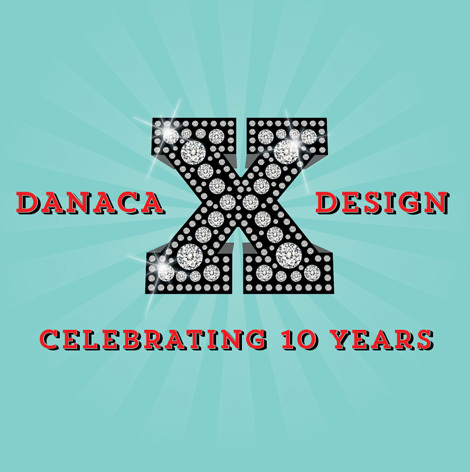 Please join Danaca Design Studio in celebrating 10 years of success bringing Seattle classes, gallery showings, supplies, and community for jewelry makers and metalsmiths from all walks of life. Come out for a festive evening of great food, drinks, happy people and lots and lots of jewelry. Find the perfect holiday gift while supporting terrific teachers and stunning students!